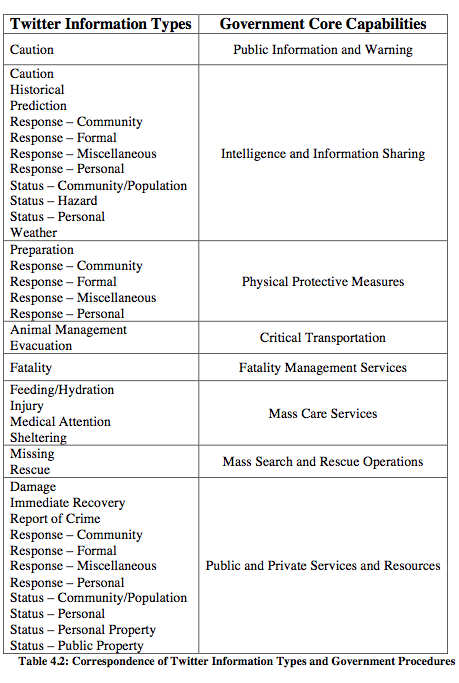 Just how much situational awareness can be extracted from twitter during a crisis? 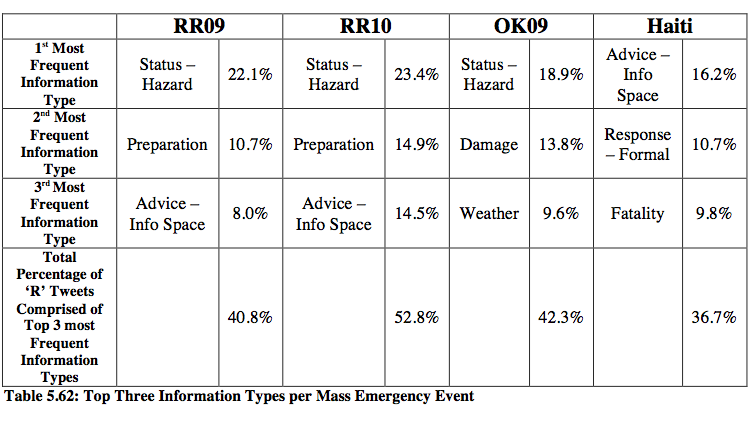 What constitutes situational awareness in the first place vis-a-vis emergency response? And can the answer to these questions yield a dedicated ontology that can be fed into automated natural language processing platforms to generate real-time, shared awareness? To answer these questions, Sarah analyzed four emergency events: Oklahoma Fires (2009), Red River Floods (2009 & 2010) and the Haiti Earthquake (2010). 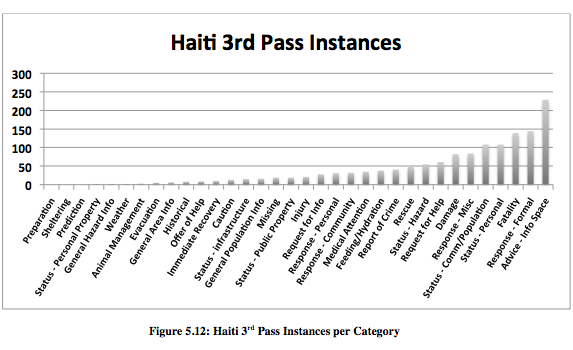 The result of this coding for Haiti is depicted in the figures below. 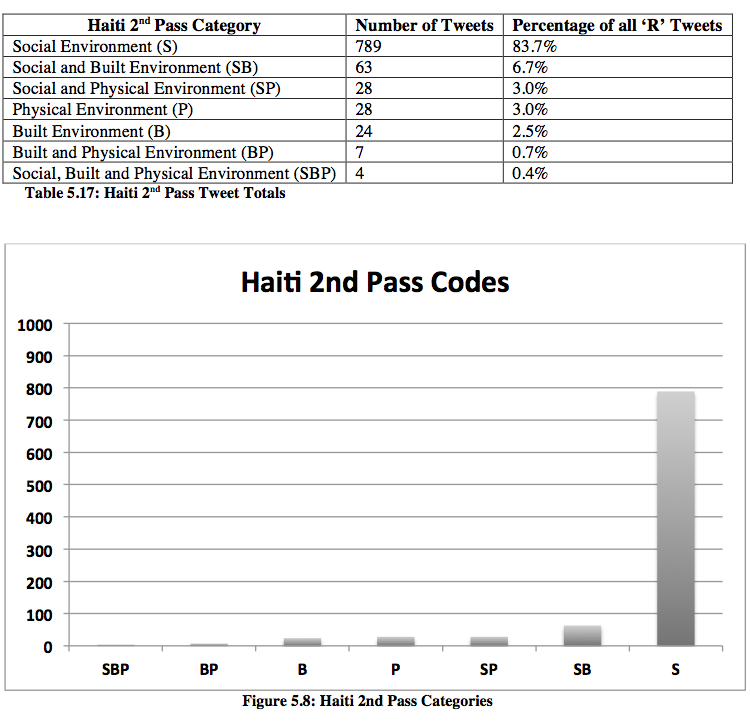 For the third coding step, Sarah created a comprehensive list of several dozen “Information Types” for each “Environment” using inductive, data-driven analysis of twitter communications, which she combined with findings from the disaster literature and official government procedures for disaster response. 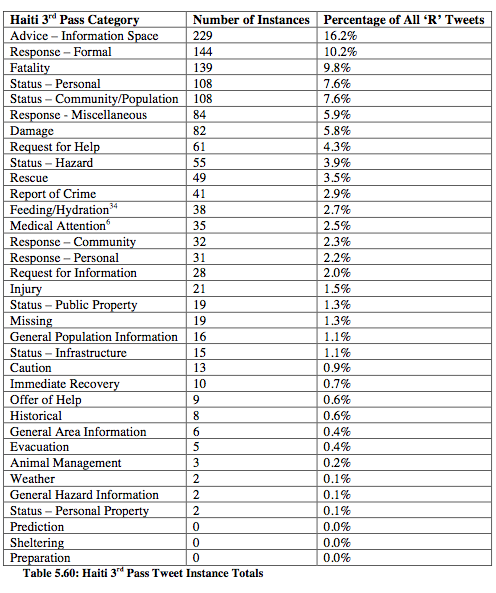 In total, Sarah identified 32 specific types of information that contribute to situational awareness. 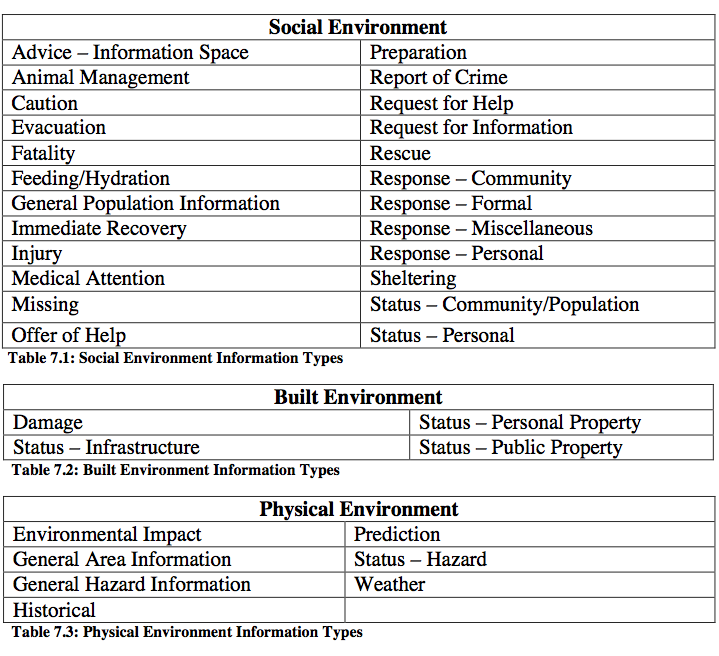 The table below compares the Twitter Information Types for all three environments as related to government procedures, for example. The coding described above was all done manually by Sarah and research colleagues. 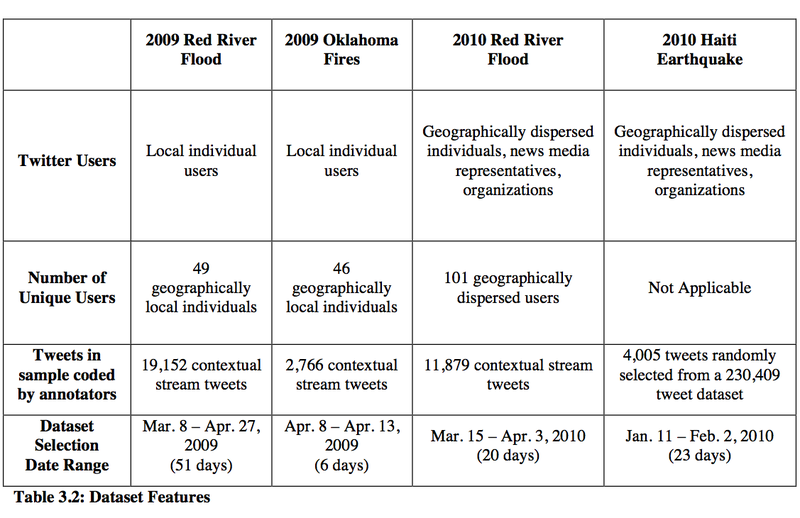 But could the ontology she has developed (Information Types) be used to automatically identify tweets that are both on-topic and relevant for situational awareness? To find out, she carried out a study using VerbNet. This entry was posted in Big Data, Crowdsourcing, Social Computing, Social Media and tagged Awareness, Colorado, NLP, Sarah, Situational, Twitter, Vieweg. Bookmark the permalink.